A White House correspondent temporarily barred by the Trump administration has been made an honorary member of a local National Union of Journalists branch. The NUJ’s Brighton and Sussex branch has awarded the honour to CNN correspondent Jim Acosta, left, who was branded a “rude, terrible” person by President Donald Trump during a press conference. 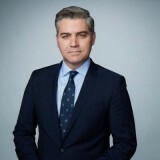 Jim was initially stripped of his White House press pass following the incident on 7 November, but later had his credentials restored after CNN began legal action against the administration, which was subsequently dropped. An empty chair will be placed in the front row of the NUJ branch’s next meeting in Jim’s honour. Branch secretary Brian Williams said: “Like journalists everywhere, we were appalled by the dispute between Trump and a highly respected member of the White House press corps. What sort of president thinks it’s okay to call a correspondent a ‘rude, terrible person’ simply because he’s been asked a difficult question? “Then Trump’s press secretary, Sarah Sanders, shared a video that appears to have been doctored in an attempt to show Jim reacting aggressively to the intern who tried to take the microphone from him during the press conference. And if all that wasn’t bad enough, Jim’s press pass was revoked – a decision that was later overturned by a judge. “It’s easy to shrug your shoulders and think: well, what else do you expect from Trump? But this was far more serious than that – it was part of the US president’s determined and deliberate attack on a free press. The branch officially announced Jim’s acceptance of the honour in a post on Twitter. Brian added: “We do recognise that Jim may have problems getting to every branch meeting – it’s a fair old step from Washington DC to Brighton. But we will reserve a seat for him – which, he tells us, he’s looking forward to taking when he can. Good grief. I’m embarrassed reading this tripe. Still good on the NUJ to be spreading fake news this side of the pond. Take a bow you clowns.